Though Apple’s iPad still dominates the tablet market, it has lost a good amount of its share to Android. According to IDC (International Data Corporation), the market share of Apple’s iPad dropped from 56.3 percent in the year 2011 to 53.8 percent, that’s 2.3% in reduction whereas Android rose from 39.8 percent to 42.7 percent and will surely rise even more in the next year due to it’s rumored release of the $99 tablet. Let’s not forget, Microsoft is also a part of this tablet market and with the recent release of its Windows RT Surface Tablets, it currently has a 2.9 percent in share in 2012 and as IDC predicts, it will grow upto 10.2 percent in 2016. To crush Apple’s dominating role in the tablet sector. Although the news of the upcoming tablets by HTC and Nokia are still labelled as ‘rumoured’ news, there are good evidences that these will be announced sooner or later. Before Microsoft unveiled the Surface tablets, Nokia had plans to release their own version of Windows RT tablets. Hence, they had abandoned the tablet plan and pursued making Windows powered mobile instead. Recent reports by Digitimes noted that Nokia has brought back the tablet plan on its table. Not much has been unveiled yet, but from the reports gathered the Nokia tablet will be a 10-inch one running on Qualcomm Snapdragon Processors, S4 version. Verge also reported that the tablet will have a keyboard cover which will have its own battery, making it look like a book. It will also have an HDMI and USB port, cellular connection just like the Surface tablets. Nokia as we know is falling way below in the charts compared to other companies. It’s symbian powered mobile phones are getting less popular as with that price tag you can find yourself an Android one. 5 years back, Nokia was the best brand here in Bangladesh but ever since the release of Android OS, it’s popularity is decreasing. More over, it also failed to capture the US market which is considered one of the most important market for a tech product. Does that mean Nokia is dead? Not yet. It still is popular in the European Union, thanks for the release of the Nokia Lumia 920 supporting LTE 4G. As consumers are looking forward to buying more tablets than before, this market is an emerging one. Nokia targeting this market is indeed a good move provided that the price tag is affordable and can be reached out to mass consumers. If price of the tablet stands around $500-$600, I fear Nokia will have to pack their bags and leave or maybe let Google buy them instead. The Nokia tablet is rumoured to be released in the Mobile World Congress to be held in Barcelona in February 25th. Bloomberg reported that HTC will be bringing out not one but two tablets with different screen sizes, 7 inch and 12 inch both running the Windows RT OS. The 7-inch tablet will be added to the list to compete with the Nexus 7, Barnes & Nobel,Kindle fire and the iPad mini. Out of all these tablets, Nexus 7 still tops all of them in terms of both performance and price. Not much details have been given out regarding the tablet yet, but to make it attractive to the consumers HTC must ensure that the prices stays between $200-$250. Honestly speaking, the first thing that comes in mind when buying a tablet is the price and then the tech specs. If the price tag for this ‘rumored’ 7 inch tablet goes over $300 just like the iPad Mini, they will be losing a lot of consumers. One info has been leaked by one of the officials of HTC regarding the 7-inch tablet is that it would be able to make calls from the tablet. This gives us an indication that the prices might not be at $200 or less but above $230. On the other hand, the 12-inch tablet that has been announced by HTC is by far the largest tablet to be available in the market. Apple’s iPad is 7.5 inches whereas Google’s Nexus 10 is 10 inches so you can already guess how big it will be. 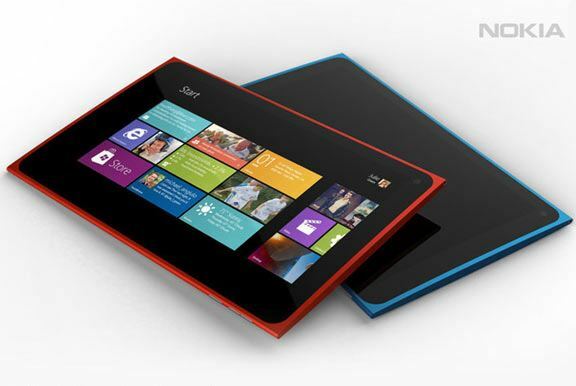 Both the tablets will be running on Windows RT operating system instead of Windows 8. If the tablets would have windows 8 installed, the price would be excessively high. For now, we will have to wait and hear from Nokia and HTC themselves. Seems like 2013 will be an interesting year! Let us know what you think about this news in the comments below. Its really a nice and informative post but what would be price of these mobile in india after launching of these mobile.